Friday the 13th turned out to be a lucky day for a Hudson Valley resident. Fran Chargar, who lives in Suffern, won $1 million from Publishers Clearing House and $10,000 a year for life. 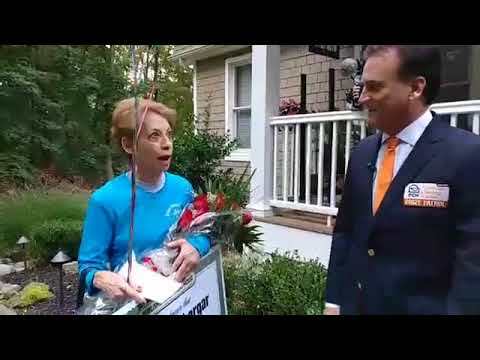 Chargar was standing in her driveway in front of her flowers when she was surprised by Publishers Clearing House. "What is this about?" Chargar said, when Publishers Clearing House came to her driveway. Chargar appeared to be in shock when she was told she won $1 million. "I feel great," Chargar exclaimed. "I'm going to pay off bills and I'm going to move." This was the second time Publishers Clearing House tried to surprise her, Earlier Chargar was at the gym.